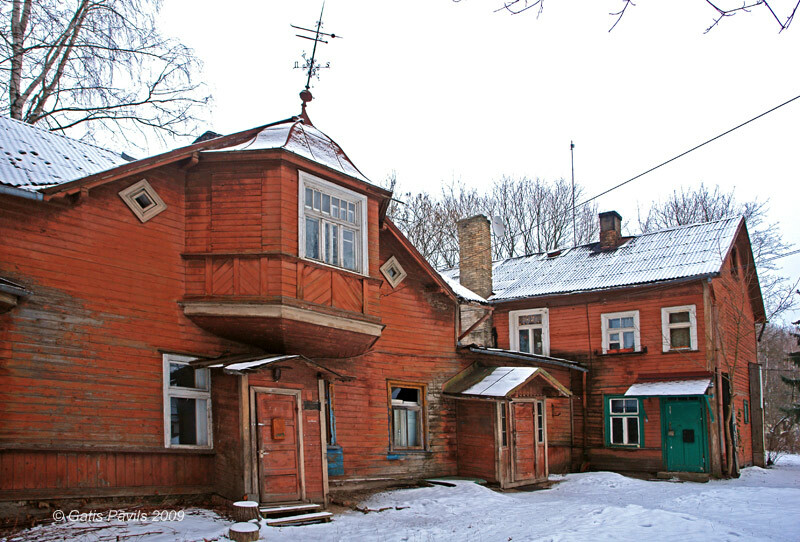 One of the newest manor building in Riga is Senbergi manor - wooden building near Marupite stream with stable built of brick. There have been preserved forgings and other elements in Jugendstil. According to (1.) 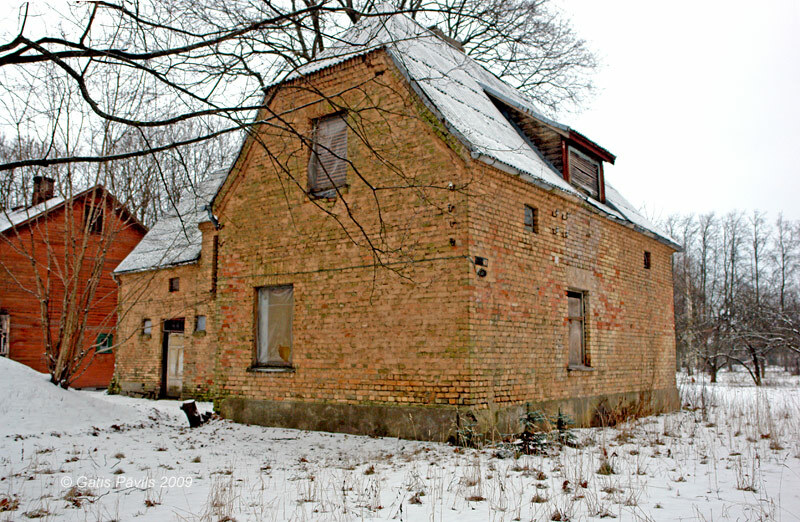 up to the beginning of 1930ies in this building there was agricultural farm of contractor A.Usleber. In 1930ies the building belonged to professor V.Bukovskis, later - to his heirs. 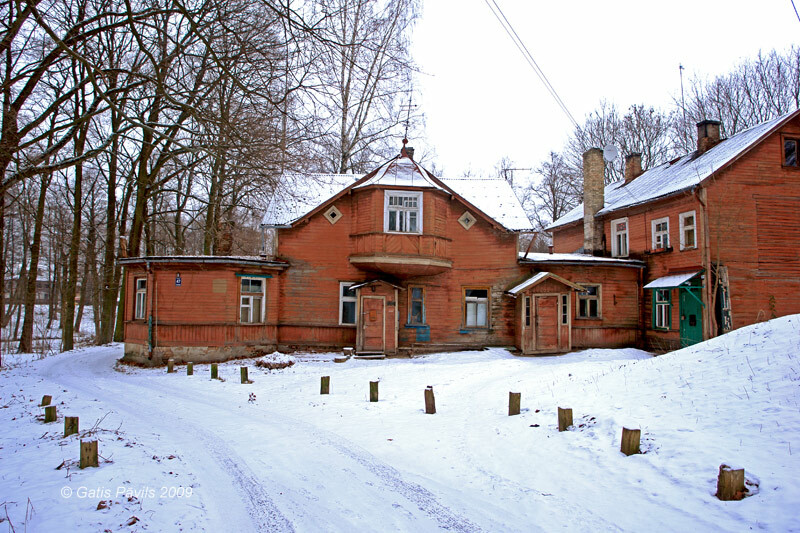 In 1930is in this building there lived actors I.Zvigule-Maca and E.Macs. Stable of Senbergi manor. 2009.01.18. 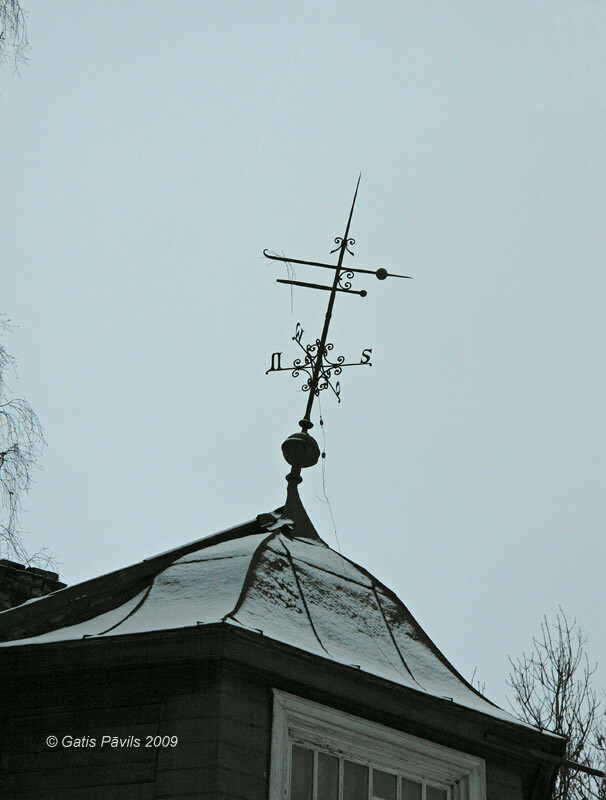 Weathervane of Senbergi manor. 2009.01.18. Enciklopēdija Rīgas ielas, 2.sējums, Rīga, 2008, p.213.